This giveaway is now closed. Thanks to everyone who stopped by. This giveaway is open until Friday, 3/2, at 6 p.m. PST. Are you excited? It's Leap Day. And it is Superior Threads giveaway day!! This might not happen for another four years so you better take advantage of it today. 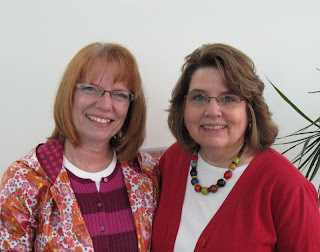 Elizabeth and I were co-conspirators for this fabulous giveaway idea. I had been wanting to get the word out about Superior Threads, and it just so happens that Elizabeth is friends with Bob and Heather (also known as Mother Superior--don't you love it?) Purcell, the owners of Superior Threads. So when Elizabeth and I had the chance to meet in person at the Road2California quilt show in January, the plan was hatched. And Bob and Heather agreed to supply the thread. I have been a fan of Superior Threads for years.While they offer a great variety of thread, in a magnificent variety of colors, I have mostly used Masterpiece for piecing and King Tut for machine quilting. Superior is in the process of changing all their 50 wt. Masterpiece thread from two-ply to three-ply. This is extra long staple Egyptian cotton that my machines love and it creates hardly any lint. But if 100% cotton isn't what you are looking for, how about polyester, metallic, or silk? And I'm definitely planning something for my grandchildren using this cool glow-in-the-dark thread! The other fabulous thing about Superior is that their website is packed with information. Do you have questions about tension? Thread-specific questions? They have that, and lots more, including troubleshooting and lots of reference guides, a Deal of the Day, a Thread of the Month club, and their newsletter, which includes Bob's joke of the month, reason enough to sign up. But you're really waiting for the giveaway info, right? Including my blog, go check out all these other fabulous quilters, each offering a chance to try some Superior thread. 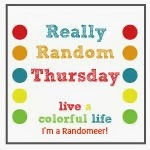 Here at Live a Colorful Life, just leave a comment for a chance to win. The giveaway ends at Thursday, March 1, at 6 p.m. PST. One winner will receive three spools--two Masterpiece and one King Tut. The other winner will receive two spools--one Masterpiece and one King Tut--along with coordinating fat quarters of fabric. Okay, how about this? Do you know anyone with a birthday today? Or do you have any special plans for Leap Day? Well, that was certainly clever. If you want to leap out on a limb and become a follower (or tell me you already are a follower), that would be cool too. Also, my friend, Deborah (Simply Miss Luella) is having a fun fabric giveaway, so be sure to head over there as well! Thanks for the chance to win the thread too, I've used the King Tut's thread once for quilting, and have picked up (but not used) another couple of spools, but haven't tried their other threads. Would love to try this thread. I don't know anyone that have a birthday on the 29th. New to your blog, but love it. I'm a die-hard fan of King Tut and just recently decided I needed to try their solids because I'm having difficulty finding other thread as good! And love those glow-in-the darks - wow!!!! My only claim to fame for Leap Day is that rumor has it my mother proposed to my dad on Leap Day! I'm one of your faithful followers already! I thought that maybe I had some Superior Thread, but upon closer examination of my thread box...I guess I don't. As far as I know, I don't have any friends with a birthday today. I don't have any specials plans, either...unless you count just wishing I could call in sick. My friend Laurie is having her birthday today ~ I think she's technically 12. One thing I want to try this year is new and GOOD thread. Thanks for the chance! I'm a lame leap day-er! No fun plans and I know no one born on leap day. I don't know anyone with a birthday today, I will be working (which I am always thankful for my job) and I already follow your fabulous blog. Thanks for having such a great give-a-way. I've seen the glow in the dark threads around but haven't tried them before. On Leap Days I generally take the day off to do fun things I want to do or take a day trip someplace new since it's a 'bonus day'. I love that glow in the dark thread! How Fun! For leap day we are leaping over breakfast and having lunch first and then dinner and finally breakfast. Just something to be silly about. In knew a girl in High School whose birthday was today and she got to have a massive party every time her birthday rolled around. I still remember celebrating her 4th (really 16th) birthday with her. I have not experimented with different types of thread but after reading about these threads, I would like to try. No specific leap day plans but I sort of feel like we should take the day off and do something fun as it is essential an EXTRA day! It shouldn't count! Have never tried these threads but I'm adding it to the list! I have a cousin with a Leap Day birthday. She's the only cousin whose birthday I can remember! Thanks for the great giveaway! I have a colleague who has her birthday today; only cake every 4th year! I've not tried this thread so would love a chance to, thanks! As for Leap Day plans, I think we are buying a used car...lol. Thanks for the chance to win. My big plans for today are to finish grouting my newly remodeled bathroom. I could use a thread make-over in my thread box. I do believe my cousin has a daughter with a leap year birthday. I do know someone that was born on Leap Day! He is a teacher in the schools that my girls attended. He comes from a family of teachers, so I had he dad long ago, my girls had his mom and also him! Thanks for a chance to win some Superior threads! I would love to try some. Thanks for the chance to win the thread - silly as it is I hadn't realised King Tut was a Superior Threads product!! I don't know anyone who was born on 29th Feb but I've just watched 10 couples participate in a mass proposal...I watch too much daytime telly!!! Wow, glow-in-the-dark thread is so cool! I sure don't know anyone with a birthday today, though my son almost had his birthday today - my due date with him was Leap Day! Fortunately for me, he was born a little over a week early, so no Leap Day baby! I do know a lady whose birthday is today. She is over 90, so how old does that make her if she has only had a birthday every 4 years???? I'm a follower for a while now. Thanks for the chance to win either one. I'd love it. Superior thread is just that. Love King Tut....love winning some even better. I have one friend who is 40 today, but has only had 10 birthdays. Those glow-in-the-dark threads are so cool, I have never seen anything like it. I've used King Tut a lot and love it, but never used the Masterpiece. As for a birthday on Leap Day - I have never met anyone with such an auspicious birthday! I wonder how/when they celebrate when it isn't a Leap Year! I was hoping my friend would have her baby today, but she ended up having it yesterday. I thought it would be cool to be a leap year baby, but I'm happy for her regardless. Thanks for the opportunity! I don't know anyone with a birthday today! I wanted to take my son to the zoo but it's going to rain all day, so I think I will do some crafting instead!! LOVE that glow in the dark thread! Thanks for this giveaway, I've been having thread issues lately, would love to try this. As far as leap day plans, was awakened at 5:20 this AM to find out its a snow day, 12" of snow. Finally! It is Minnesnowta after all! No special plans for Leap Day. I only know one person whose birthday is on Feb 29...I think he turns 17 today (he's actually in his 60s)! Thanks for the giveaway! Unfortunately I'm recovering from the bug that's been going around but the good thing is I get to get caught up on blog reading! Thanks for the chance! And if I win, I'd prefer the one with the fat quarters. Thanks again! I don't know anyone with a birthday on leap day .. and I don't have any special plans, appart form keep packing, sending out address changes ... and all the other lovely stuff you get to do when you move. Just popped by from In colour Order Blog. Am signing up to follow now. Thanks! Sadly no friends with Leap Day birthdays and no special plans. Thank you for the chance to be entered in your Superior Thread Leap Day giveaway. The only striking thing about this Leap Day is the spring time weather a month and a half early, sunbeams! Winning the set with the yellow and green scissor fabric would be delightful and match this day perfectly. Now I get to go peruse your previous posts. This is such a fun way to meet bloggers and have a morning cuppa. Come on over to my place and say "hi". I follow through Google Reader. Somehow I ended up with a dentist appt. today. Not so exciting. You know, I DO know someone with a birthday today. She'll be 2 today...a friend of my youngest son. The thread is beautiful and sounds like it might help ease the way for novice machine quilters. I love using Masterpiece for piecing but I haven't used King Tut yet. I am going to visit my newest granddaughter today, she was born on Feb. 27th. So she is almost a leap year baby. I know a young lady who will reach the ripe old age of 2 today! Love the thread...variegated will be my next attempt! I have used Auriful thread a few times...and love it! Nobody I know has a birthday on the 29th, but mine was the 13th! Oh...and I'm a follower now! I am really anxious to try Superior thread - thanks for the chance to win. I don't know anyone with a leap day birthday - one of my friends was very close...the 28th. Today is going to be a quilty day for me! The best kind of day! So glad you girls came up with this surprise leap-party!!!! My husband's cousin's birthday is today...and a boy in my sister's high school class also had a leap birthday...I remember when he turned 4!!!! OMG! I love superior's threads. I use them almost exclusively, and I'm excited about the masterpiece, it's my go to piecing thread. I would love to try this thread. I know only one person with a Leap Day birthday and she didn't think it was as cool as we did. I used some glow-in-the-dark thread to ply some yarn with for a friend, I love that stuff! I don't know anyone with a birthday today, but I'm planning a night of cuddling with my dog and something fiber arts related. I wouldn't call that special, but we get an extra night of it this year! Don't know anyone with a birthday, but we've got alot of babies scheduled to be born here! I'm thinking today is an extra day just for quilting! thanks for hte chance. Glow in the dark thread looks awesome! I don't know anyone's whose birthday is today. My exciting plans for the day are getting the car serviced and attending a ASG meeting. As a new quilter, I would love the chance to try another brand of thread. The glow in the dark thread looks crazy!!! I might need to make another Halloween quilt just so I can use it! Today I plan on sewing lots of stuffy owls for a baby shower that is coming up. Nothing really too special today! I wish I had some fun plans! Maybe I'll suprise the kids with something when they get home! Thanks for the chance! I love Superior Threads. I haven't used the glow in the dark ones yet though. I have a friend who is having a baby today, so I will know someone with a leap day birthday very soon. This is such a fun idea - more play on any day is a great idea. Such pretty threads, and fabric, too! Thank you for the fun. Could have sworn I was already a follower since I come over here all the time but I added you to my Google Reader! I am going to Lifeway Christian book store to use my leap year 29% off coupon---isn't that daring?!!! Don't know a soul who was born today and am thankful I wasn't! That glow-in-the-dark thread will be so fun to play with! I don't know anyone with a birthday today, and I have no plans to do anything different. Just the usual routine on another typical day. Thanks for a chance to try the Superior thread! The glow in the dark looks really cool. My co-worker's(and best friend)daughter is turning 20 today! I wish I was turning 20. You're a smart cookie to have thought up this wonderful giveaway. I've never used Superior threads, so it would be a happy win for me. And what am I doing today? Getting our house ready to sell. I'm oiling woodwork. Doesn't that sound fun? I don't know anyone with a leap year birthday, but I have a friend who is due Anytime now, I'm hoping she goes today! I love Superior - the sight, the threads! Masterpiece is my fave piecing thread. I don't know anyone with a bday but for the first time I will celebrate. Our children's museum is having free admission this afternoon so I'll take my 5 yr old. Thanks for hosting the giveaway. Gee, glow in the dark thread would work beautifully for my Halloween quilts. I'll have to look for it. Would love to win the two spools and fabric. No, I don't know anyone with a bday today. Unfortunately, I'm celebrating the extra day by working. What fun is that? From the reviews I am reading so far, I would love a chance to give this thread a try--coming from someone who only buys the $2.17 a spool from Wal Mart. Don't you think I would love this? Glow in the Dark, I can see all our quilts, camping on the mountain, glowing! How fun would that be. Thanks. I'm still fighting a nasty virus so no special plans for today apart from the Leap Day giveaway. Thanks for the chance. I'm going fabric shopping at the LQS Leap Year sale with my SIL and then finishing up the purse I started in class last night. Not a bad plan. I've seen King Tut at shows but haven't tried it so I'd love to win. One of my childhood friends has a birthday today. I will never forget her birthday! Thanks for the giveaway! I have always wanted to try Masterpiece. Thanks for the opportunity. I know several people with leap day birthdays! And no fun plans here, just work. Thanks for the giveaway! That glow-in-the-dark would be so cool on a kids quilt with an outer space theme. Thanks for the chance to win. I'm already a follower of your blog. On this Leap Day I'm heading over to my local fabric shop to snag some fabric for an upcoming workshop at my Quilt guild. I LOVE Superior Threads and their service! I'm also a follower too. Thanks again for the chance to win! No plans here, just another day! The thread looks awesome! I've never tried this thread, thanks for the chance to win it. I am taking my son to school and have no other plans except to sew later this evening. wow! These are so cool, didn't know there was glow in the dark! I've never used this thread, but I've heard great reviews. For Lent one year i gave up buying fabric... then went on a shop hop - w/out buying fabric? ...OMG! ...so, i stocked up on thread - great finds! ... last weekend i treated myself to that lime green scissor fabric - so much fun! Wow nice giveaway! Love the thread! Awesome giveaway! I don't know anyone born on Leap day sadly. It'd be fun to celebrate with them if I did! Love the Glow in the Dark thread! I'm a huge fan of Superior thread and would love to win some. I'm planning on finishing packing tonight for the quilt retreat I planned for this weekend. It's in memory of my mom and has 10 of her, my aunt, and my closest friends at a hunting lodge. There's lots to get done before Friday! My mother's cousin (my second cousin) that she hung out with growing up was born on Feb 29th. Poppy did not like having such a b'day as felt that it shortchanged her on celebrations. Thanks for the great giveaway and fun. I follow too. I don't know anyone with a birthday. I am not planning anything special, but my kids will be doing lots of frog 'leaping' at school today. They were instructed to wear green. Wow thanks fr the chance, I have never used this thread and would love to try it! I use Superior threads quite a bit - in fact I need to order some more. Love it for FMQ! I've never met anyone whose birthday is on leap day! It would be strange, I think! That glow in the dark thread is amazing! I have got to get some. My son would go ape for it. The only person I know with a birthday today is my brother in law's mother in law. No plans for leap day. I've started following your blog! I would love to win any Superior Thread! I'm finishing up some charity quilts and having fun playing with a new design on my wall. I love Superior Threads.....thanks for the chance. Thanks for being a part of this huge Superior Threads giveaway! I have never used those threads, but I do know that I need to learn more about thread and the possibilities there instead of always using my Guttermann cotton. I don't have special Leap Year plans; I almost forgot this was Leap Day...Leap Year Day...February 29th...whatever. Maybe I will just stay up late tonight sewing. An extra day in the year means extra sewing time and I shouldn't let it go to waste! Would love to try this thread. What a great blog. I don't know anyone with the 29th as their birthday...what are the chances of that? I do love masterpiece thread and King Tut and have a spool of each stashed in my special thread box for the most special projects. It would be great to add more to that box! I woudl LOVE to try this thread. I don't know anyone with a leapyear birthday. Boo. I always thought it would be fun! To be honest, I don't ever remember seeing Superior thread before. I would love to try it. Thanks for the chance. Love all the threads. I had a friend in grade school who had a birthday on leap day. I am a follower as well. Thanks again. I am a new follower....forgot to mention it in my first comment. I don't know anyone who has a leap day birthday, and I'm glad I don't. There were a brother and sister on the Today Show this morning that both had leap day birthdays and they WERE NOT the same age! Can you imagine--what are the odds? Love the yellow and green... so pretty. The glow in the dark thread looks awesome! I don't know anyone with a birthday today but I heard on the radio about a woman who had a baby on 3 consecutive leap years... can you imagine? way too much planning!! I would love to try out their thread, I've heard good things about it. I love using variegated thread for quilting! I think these threads look awesome. I am new to sewing, I am still learning about all this. I am happy to have found your blog! I do not know anyone who has a birthday on Leap Day. My uncle was born on Leap Day. Thank you for the chance to win! I used to have a co-worker whose birthday was on leap day. And I'm always reminded of the Pirates of Penzance on this day. What a timely question for me! My mother was born today, and actually, I have a brand new baby cousin who was born today, this exact very morning! He's an extreme preemie, so if you read this, keep him in your prayers! I love those green and yellow prints with the scissors - and great thread to match! I'd love to try the King Tut threads. One day. Thanks for hosting the Giveaway - enjoy! LOVE Superior Threads! I'd love a chance to win some of that goodness! Thanks! Love the threads. Don't know anyone with Feb 29 birthday, but plan to do some sewing to celebrate today. The glow-in-the-dark thread is super cool!! No I don't know anyone with a birthday today. I most certainly do know a leap day birthday! My cousin, older by one year, was perpetually frustrated by the fact that I was "aging" while he was not. I can't even tell how old he's "supposed" to be, but happy 18th birthday, cuz! I really wish I didn't have to work today, because Disneyland is open for 24 straight hours and I would love to be there for a marathon session! My friend's husband has a leap day birthday. She's throwing him his 10-year-old party today. 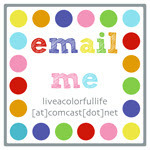 I now follow your colorful blog!!! Love the threads. Thank you for the giveaway. haha - I know someone that was induced yesterday, probably in hopes that it WOULDN'T be a leap day baby, but I don't think things progressed quickly enough for them to get their wish! LOL! Thanks for the giveaway chance! LOVE YOUR BLOG+FOLLOW YOU VIA BLOG LOVIN'! NO, WE DO NOT KNOW A SINGLE PERSON WHO'S BIRTHDAY IS TODAY. IF I WIN THIS NEAT GIVEAWAY OF YOURS,I'LL THINK IT'S MY BIRTHDAY! I do know someone with a birthday today, they are 18.75 year old (AKA 75). I don't know anyone with a Feb 29th birthday. I have a friend with a Feb 28th birthday and my daughter was born on the 26th (but neither was born during a Leap Year). I would love to try the Superior thread for piecing. A quilting friend uses it in her long-arm quilting business. Whoa! 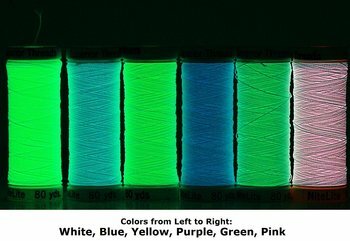 Glow in the dark thread...how cool is that!!! Yes, my mom's friend OraLee has a leap year birthday. As a child I never understook how someone sooo old could be younger than me! Love this thread! Thanks for the opportunity! Hi Leisa - I am leaping with joy to be one of your followers! I am a friend of Elizabeth Eastmonds and found your blog through hers. I have enjoyed reading your blog, and I too collect selvages. I've got mine in an old Exide battery acid glass jar (doesn't sound very nice, but it is) and it looks especially nice with all those beautiful streamers of colors cascading down the sides. Thanks for the opportunity to win some Superior thread, they are my favorites! I don't know anyone with a birthday today :-( My son has a snow day, so we are having a lazy day today - fun everyonce in awhile (like every four years - ha ha)! I already use the superior thread and really like it. I have never used King tut would like to try it. The glow-in-the-dark threads are really cool, what a gadget for children's quilts! I know someone having his birthday on Leap Day, he's called Vinced and is 20 (80 today). I've known this sir all my live, he's a friend of my deceased granpa's. This is my first Leap Day back at work after my baby break, and it's my first Leap Day as a mom as well. Thanks a million for this fantastic giveaway! nope, don't know anyone w a birthday. no plans either except to study for an exam...but my husband always jokes that he should've waited an extra day to ask me out bc then he would only have to worry about remembering our anniversary once every 4 years! My daughter has a friend who is "4" today. I guess that makes her legal to drive! DD made cupcakes to take to school as a surprise--yum! I think I'll need one of the extras for dessert. Well Cindy you know I'm following diligently, I LOVE quilting with King Tut and on this leap day I am simply putzing around, trying to get motivated to bake and sew in prep for retreat this Saturday and travel next Thursday! Thanks!! dont know any leap year babies ... my brother almost was but tomorrow is his day! Glow in the dark thread is the coolest thing I ever saw! Going to have to find some of that. I don't know anyone with a leap day birthday. I'm just hoping to get a bit of sewing done as my leap day celebration! Yay for sewing!! I don't know anyone with today as a birthday. My plan for the day is to work then go home to finish up the binding on a quilt. All the Superior Threads I've ever tried are amazing. I love the look of these glow in the dark threads too. Thanks for the opportunity! Love the thread. Thank you! I am having fun talking to my son about leap years. He thinks it is way cool that you get an extra day this year! Oh to be a kindergartner. Thanks again. I am a follower. Thank you! I know of only one person with her birthday today... when we were growing up we used to tease her! Now she has the last laugh because if we counted all her birthdays, she would be younger than us!! I'm busy entering the Leap Day giveaways today! Thanks for your giveaway! I have a nephew's whose birthday is today as well as a friend. The glow in the dark thread is so cool! My boys would love it! I'd love to try some King Tut's thread! Thanks for a chance to win your great giveaway! I only know one person born on leap day, and since much of our lives are now managed by computers, she generally lists her birthday as March 1st. None of the big computerized systems (Department of motor vehicles, insurance companies, etc.) can deal with that extra day in February. My nephews would LOVE that glow in the dark thread! Thanks so much for a chance to win! A BIG BIG FAN! I regularly speak and teach about Superior Threads! Would LOVE LOVE some more! Totally have plans!! !...to sit on my bum all day. Yup, I've called in a lazy day today. Thanks for the giveaway! Thanks for the chance to win! I had a schoolmate that was born on leap day. I think she's 12 now. LOL. Would love to win some pretty thread to quilt with. What a great way to try out these awesome threads! Love them! The only person I know with a Leap Year Birthday is our eldest Grandson's friend Charlie (a girl) and she is officially 3 today or 12 in year terms. Thanks for giving me the chance to win and I am a follower. Don't know anyone with a birthday today. And I worked & will be cooking pasta for supper - so that's my celebration plans. But I would love to win this great giveaway today. I've been wanting to use glow in the dark thread. Now that my girls are into lava lamps, maybe it's time for me to try them. Sorry don't know anyone with a birthday today but do want to say thanks for a chance at your giveaway.. as for me I am going for a 2 mile walk while the sun is shining and it is above 35 out there. I only have red in the superior threads I'd sure like to try them for my quilting. I have only one King Tut thread for my longarm machine which I haven't learned just yet! Thanks for the chance to win. I think Leap day is a good day to do something just because you want to. For me, it'll be a trip to the ice cream parlor! Thanks for the giveaway ! My friends grandson was born on Leap Day! I wish I had special plans for today. My daughter's 15th birthday is on Saturday, so I should be doing more planning for that instead of reading blogs! I would love to win this great thread, and I do know someone who is celebrating their birthday today..ME. I'm a new follower. I don't know anyone with a birthday today. Thanks for the chance to win some fabulous sounding thread. I love Superior Threads and always welcome more into my collection. Thanks for the opportunity to win. You have a colorful blog. I'm going to go join the follow list!!! Superior Thread rocks! I would love to win the trio of threads. I must also try some of their glow in the dark! I had a day at home with my sewing machine, feel like that only comes round once every 4 years! I don't know anyone with a bithday today. I am already a follower via email notification but did just click on the GFC to follow that way as well. I used some glow in the dark thread on my Granddaughters' Trick or Treat bag last year. She LOVED it so much she slept with her bag. I have seen many posted comments by Bob in the yahoo groups I am in for machine embroidery but still don't recall trying any of their threads. I am still new enough to quilting that I don't have a favorite thread, or much quilting thread at all actually so I'd love to win some to try. I have a 4 pack that I won last year from Aurifil but haven't used it yet because of the colors. I haven't done anything in that color yet to try any of them. It would be fun to see how they compare if I do win. nope can't say I know anyone born on a leap day, but I do plan on leaping over to my machine and doing a wee bit of sewing this evening.